One of the keys to master SEO, is to optimize pages for specific keywords. 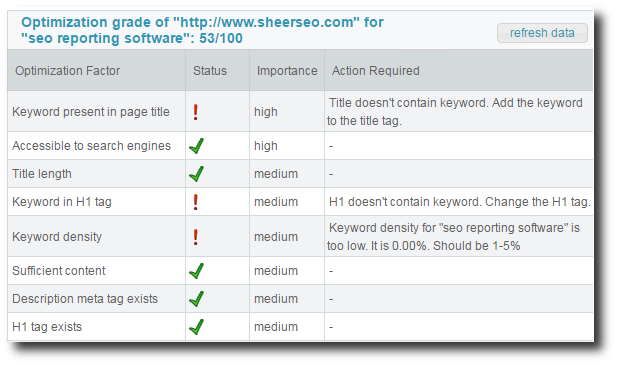 With SheerSEO, you can get a grade for your current optimization level for a page per a specific keyword. By grading your page, you get advice on how to fix current SEO issues. Then you can check again to verify all is fixed. Assuming the pages in top 10 results in Google do something right about their content, we allow you to compare their content with yours. 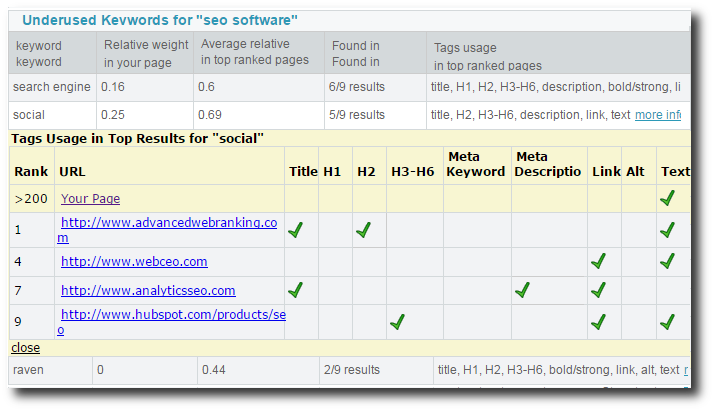 This way you can see which keywords probably need to be added to your content. One of the oldest ways to test your on page optimization. 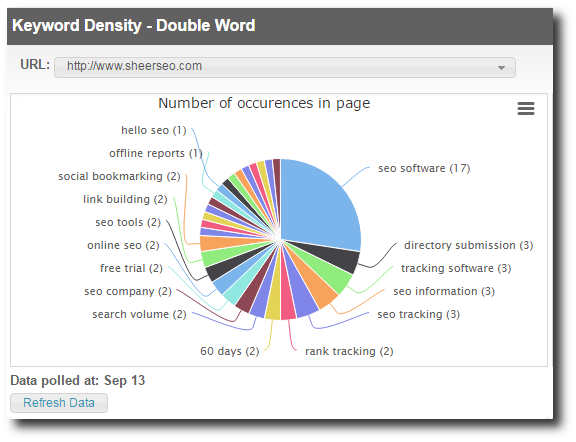 A straight forward keyword density tool. Another tool that considers the HTML tags that the keywords are in. So, for example, a keyword in title tag (used for page title) is more prominent than a keyword in a simple P tag (simple text).